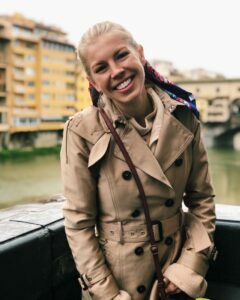 Jada Choate, a 2016 Winthrop High School graduate, spent the fall studying in Florence, Italy, and found meaningful connections despite language barriers. While traveling by train in Switzerland this fall, Winthrop native Jada Choate sat beside an elderly man. The two could have merely smiled and nodded, or barely said hello, or maybe they might not have acknowledged each other at all. Instead Choate and the man engaged amicably — despite a language boundary hindering precise communication. He spoke very little English, and she wasn’t familiar with Dutch. 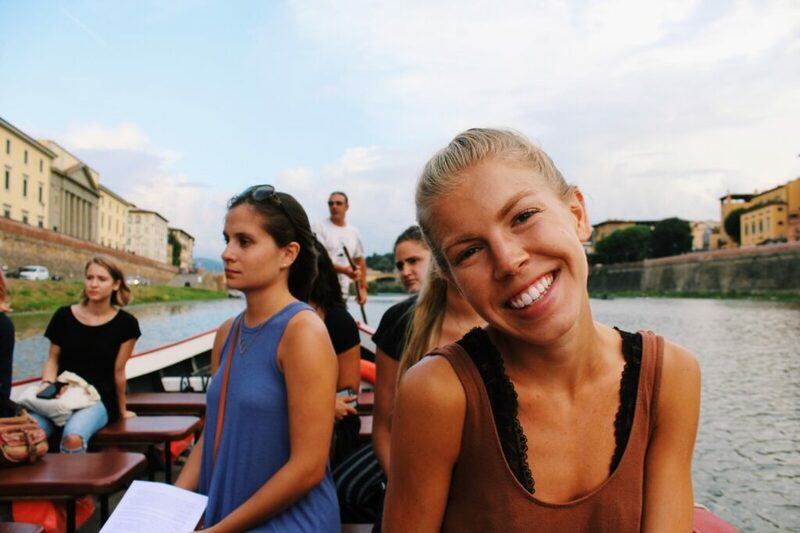 This sense of connection — even to strangers — was something compelling to Choate, who was studying abroad in Florence, Italy. 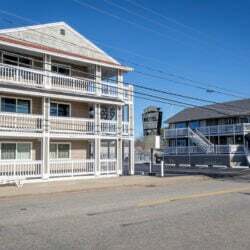 Choate is a junior majoring in psychology at Quinnipiac University in Hamden, Connecticut. 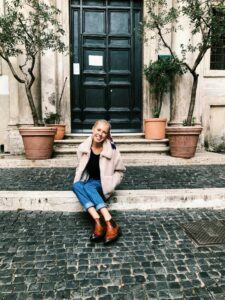 She spent the fall semester abroad at International Studies Institute Florence. She is a 2016 graduate of Winthrop High School. 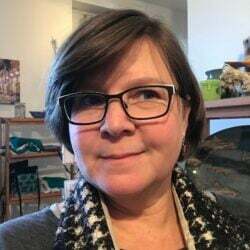 This message of connection has come back to the U.S. with Choate as she practices savoring time and extending kindness. When she asks, “How are you?” she means it. Part of her desire to travel abroad was to study people, and the most influential experiences were interactions. The people she spent time with in Florence were a combination of Italians, tourists and students at ISI. She practiced her Italian conversational skills in a cafe where she was befriended by a barista, a native of Florence, who had started to recognize her. The two, both 21-year-olds, began to practice their language skills. Choate could practice Italian, while her new friend could practice English. Despite the exchange ending, the friends continue to communicate, Choate said during an interview at C.M. Bailey Public Library in Winthrop. They’d just spoken the previous day. 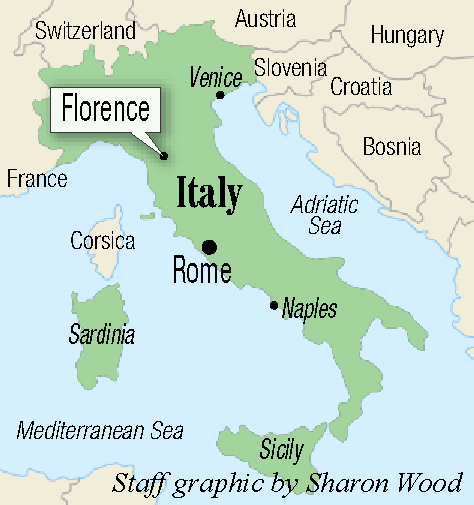 ISI Florence was established for students enrolled in American colleges, and was taught by Italian professors. The student population included American students from across the U.S., as well as international students enrolled in American colleges. On average, tourists typically stay in Florence for 48 hours before moving to another place, Choate said. 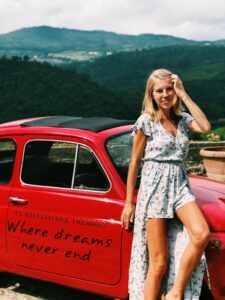 While she did take the opportunity to travel around and outside Italy, Choate balanced her spare time between that and immersing herself in Florence. “I wanted Florence to feel like my second home,” she said. Choate noticed that many of her fellow students went somewhere new every weekend, seeking to fill up their passports with stamps from other places. That was a rush she couldn’t comprehend, she said, because they didn’t seem to really learn more about their destinations. Meanwhile, Choate said, she made sure she got to know Florence. Choate supposed that many of those students feel like this is it — this is their chance to travel, because after college they’ll start working, and the opportunity could be missed. She, on the other hand, hopes this is the start of a life of traveling for her.